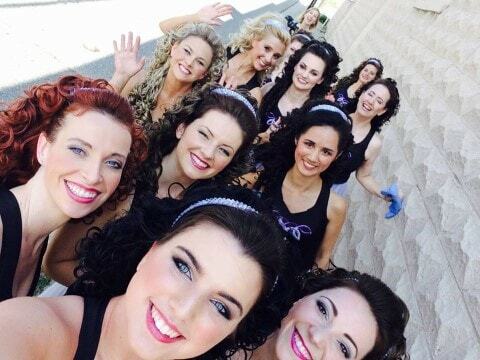 The Motor City Irish Dance Company is the Irish dance entertainment arm of our organization. We train to entertain and showcase the very best that Irish dance has to offer. Our group can be booked for all manner of shows, from weddings and cultural shows to charity fundraisers and cooperate events. And unlike other Irish dance troupes, we also include live singers and musicians into our sets to bring a level of authenticity and charm that uniquely defines our style. Our company trains intensively to prepare both solo and group choreography for eye-catching on-stage performances. Many of these performances include specially-choreographed show pieces in addition to traditional Irish dance forms. And some of these performances even have their own unique costumes too. 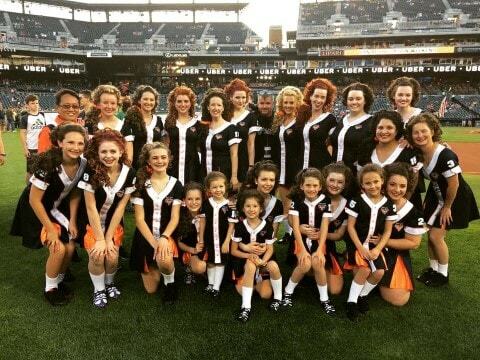 Maybe you’ve seen us at Irish Heritage Night at Comerica Park in the cute “Tigers-inspired” Irish dance dresses? Can I Join Your Company? We are always recruiting new dancers to our team – all ages, all skill levels. So if you have a passion to perform and a drive to entertain, we want you in our group! Even if you currently dance competitively with another school, there are no restrictions (or politics) for you to join us since we are an independent organization free from any competitive Irish dance governing body. Have an understanding with your Directors – we know life happens and you may have to miss a class, and that’s okay. Be part of a team where everyone is equally important and positively reinforced by your instructors and peers. 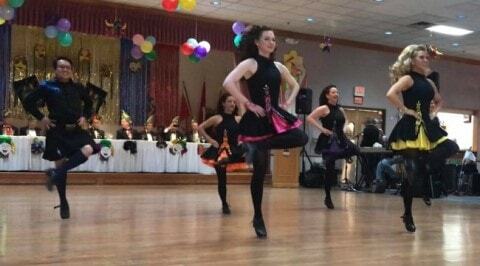 Perform Irish dance all year long – not just at recital or St. Patrick’s Day. And so much more – just ask any of our satisfied dancers and parents. Can You Dance At My Event? We perform Irish dance all year round, but are in highest demand around the St. Patrick’s Day season and summer months. So it is always best to book us early to guarantee your performance date. We can perform almost anywhere and under any conditions. Bands love featuring our soloists because they can improvise to any rhythm or tempo. Large outdoor festivals love having our entire troupe put on 30 to 45 minutes shows – sometimes twice in one day! And private gatherings, like weddings and fundraisers, love having us drop in for a few a minutes to bring that “extra something special” to their event that will have their guests buzzing. We are fully self-sufficient and can bring our own sound equipment, our own floor, live singers and musicians, and many other extras to make your reserved performance both unique and truly special. Just send your vision and requirements, and our Company will eagerly work together with you to make it a reality.